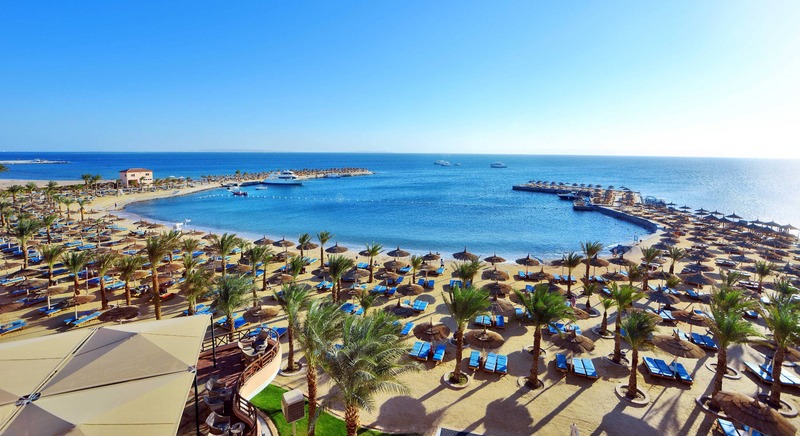 Beach Albatros Resort is a luxurious hideaway where visitors can relax and enjoy the marvels of the Red Sea with summer weather all year round. Beachfront, all inclusive resort is surrounded with 123,000 m² of landscaped gardens with sparkling pools and the crystal blue sea. It is only 15 minutes far from Hurghada Airport and 20 minutes from the city center. Beach Albatros Resort is a pond-like picture of blue-green tranquility, perfect for windsurfing, kayaking, and other water sports. Its gentle waves and shallow waters make bathing safe for children and adults alike. Its long beach is perfect for jogging or long walks at sunrise or sundown.